“Denim for All” is H&M’s latest initiative, and to kick-start the Spring season the retailer is launching an apparel line that embraces global denim diversity. On Thursday, H&M announced its new “Denim for All” collection—a lineup that features colored jeans, fresh silhouettes and versatile pieces for individual styling. The collection, which will bow in H&M stores worldwide and on hm.com this month, retails from $24.92 to $78.40, and features jeans, jackets, dresses and other core garments made with the staple material. An international campaign, featuring influencers Adonis Bosso, Anaïs Gallagher and Suki Waterhouse, compliments the collection and aims to inspire consumers to wear denim according to their own wardrobe preferences. For womenswear, the collection features new denim suggestions for spring weather. Outerwear, including blush pink and yellow jean jackets, are available to pair with various denim pants, including boyfriend jeans and skinny jeans. Core denim details, like fades, tears and signature stitching, appear in each collection garment. Some of the collection’s jean jackets will also feature details like embroidery, patches, and pearls so consumers can create a more personalized look. The collection’s men’s wear, teen apparel and kid’s wear also provide an added twist to denim. For men’s, the collection features distressed denim jackets and jeans. 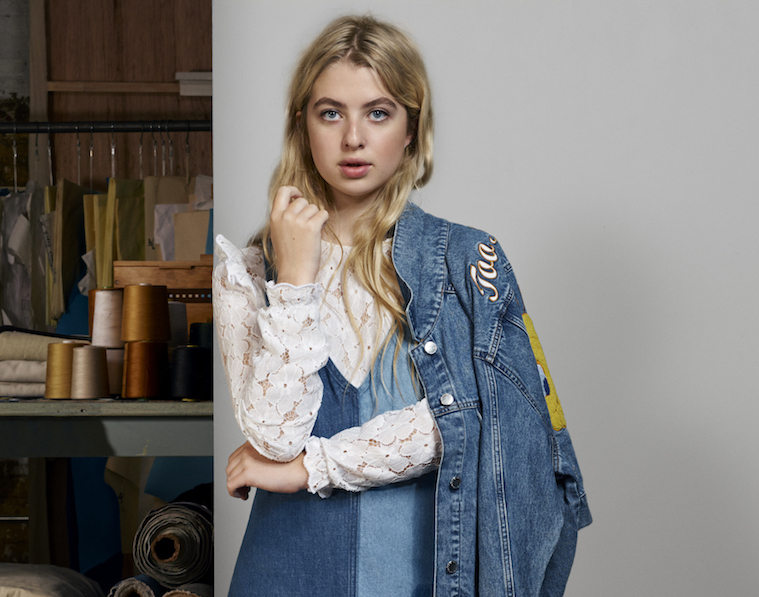 Denim for teenage girls takes a vintage turn and includes denim slip dresses and patchwork denim jackets. For little ones, faded styles provide versatility for school and play.